Many couples are lured to Antigua for a destination wedding due to the island’s 365 enchanting coves and beaches. Couples now have another incentive to exchange vows on the island as 14 hotel professionals will become certified Wedding Coordinators. 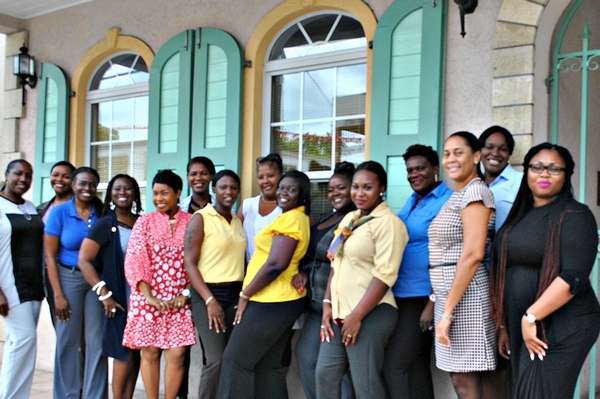 The Antigua Hotel & Tourism Association (“AHTA”) recently partnered with The Wedding Planners Institute of Canada (“WPIC”) to offer a wedding certification class to its members. 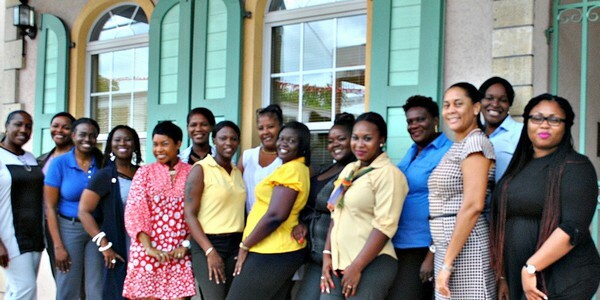 Of the participating hotels included staff from Curtain Bluff, Galley Bay, Blue Waters and Catamaran Hotel. WPIC’s Caribbean instructor, Sue Morris, facilitated the two-day course, at the AHTA training room where participants went through instruction on the nuances of wedding planning, inclusive of tests, group work. They are required to complete a final exam that will be proctored online before they can officially use their designation “WPICC”. On successful completion, they will join a network of over 4900 hospitality and event professionals mainly from Canada, but also including other warm weather destinations such as Bahamas, Barbados, Mexico and Jamaica. The WPIC Alumni is an active membership that allows members to exchange industry information, contacts as well as cross promote their venues and territories. The Wedding Planners Institute of Canada (“WPIC”) is the only in-class Wedding Coordinator’s Certification Institute in Canada. The course consists of group work, in-class lectures and Industry-related guest speakers followed by 2 weeks of home-study. Students are graded based on their in-class work, success on 3 tests and a final exam. WPIC was awarded its Master License to operate an Educational Institute from the Government of Canada. On successful completion of the course students have access to conferences, continued learning and networking through their lifetime membership to the Alumni Association of more than 4900 Certified Wedding Coordinators.